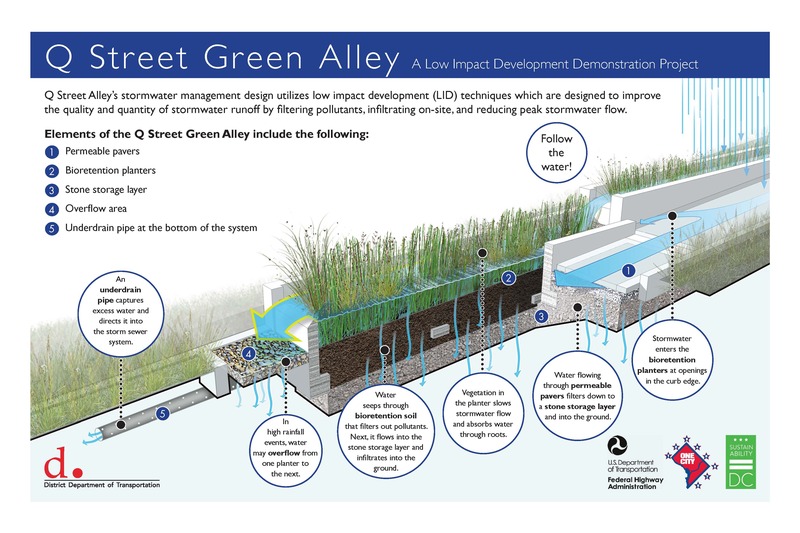 This past Thursday night, the Q Street Alley was awarded the Potomac ASLA chapter’s Merit Award. 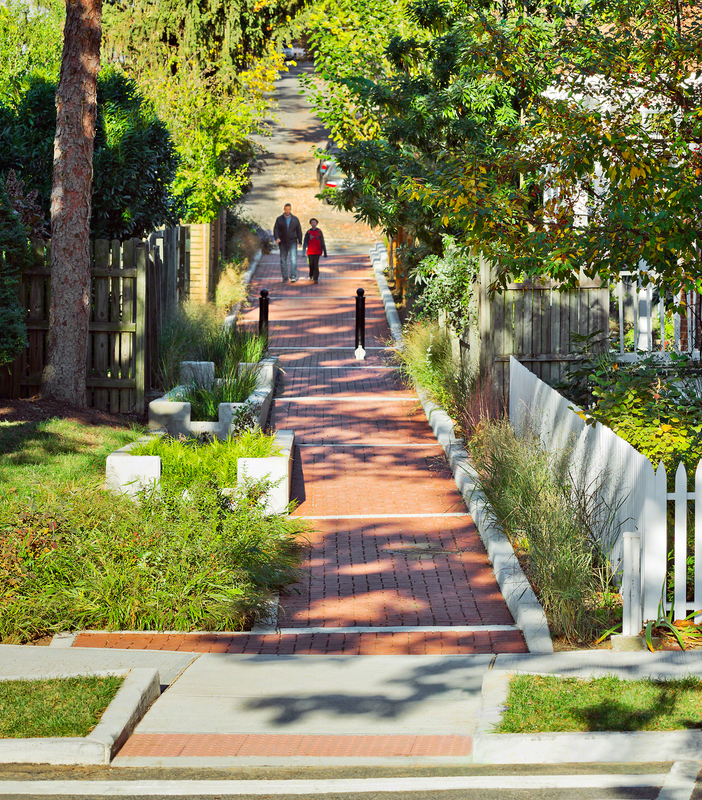 The Q Street Alley is a first-generation green alley that shows how an underutilized public space can both clean stormwater and serve a useful social space. 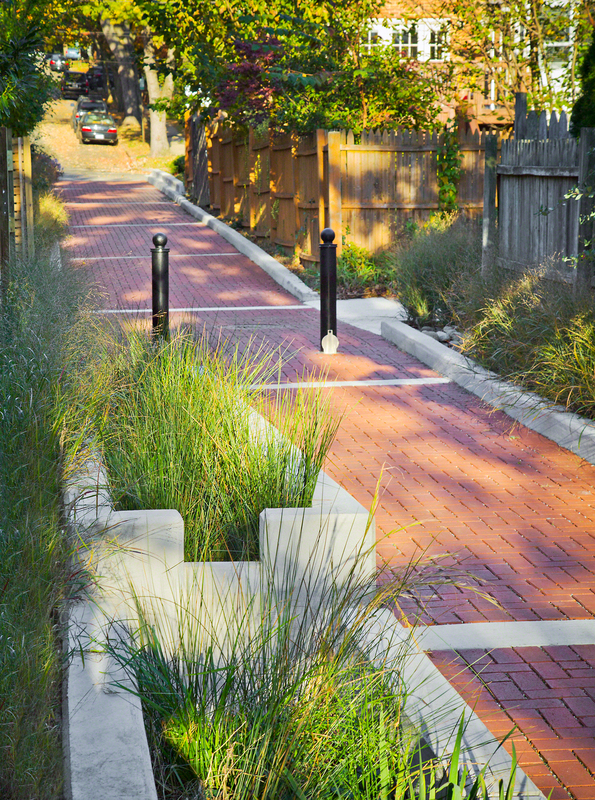 The existing site was a popular neighborhood cut-through, so our team designed the alley as a landscaped pedestrian thoroughfare. The design captures water through a variety of techniques including pervious pavers, concrete check dams, and bio-retention planters. Because of the steep slope of the alley, water not absorbed by the pavers flows into a cascade of stormwater planters. This design’s impact reduces stormwater volume, helps meet aggressive stormwater permit goals, and serves as a model for other projects.